moon! However, Drewby encounters some difficulties along the way. 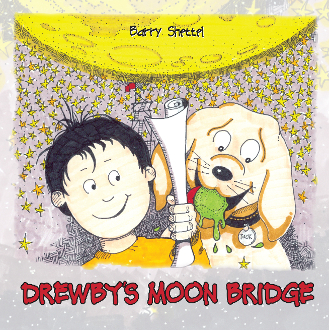 items, Drewby puts his plan into action—with a little help from Tuck and a few other unexpected friends! Drewby knew it would not fly, and what would have made most boys cry made Drewby look at Tuck and say, "You know, we’re gonna be okay. Our ship won’t fly, Tuck," Drewby said, "we’ll have to build a bridge instead."